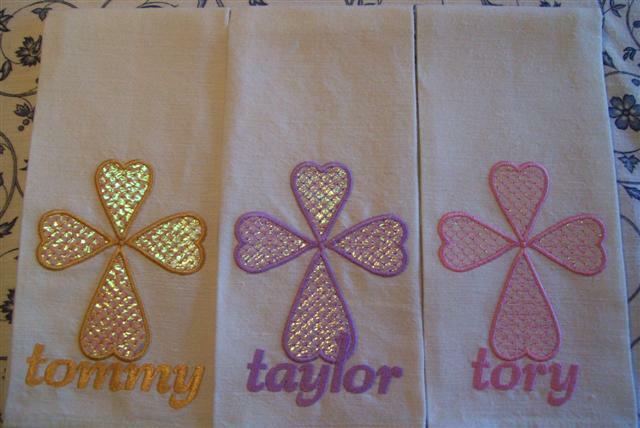 Carol in Rhode Island made these adorable Kitchen towels for her grandchildren. Great Job Carol. I love the way she has left the open areas to let the opal film really shine through.